Stainless steel case with a stainless steel Rolex oyster bracelet with 18kt yellow gold center links. Fixed 18kt yellow gold bezel showing tachymeter markers. Grey dial with yellow gold hands and index hour markers. Minute markers around the outer rim. Dial Type: Analog. Luminescent hands and markers. Chronograph - three sub-dials displaying: 60 second, 30 minute and 12 hour. Rolex calibre 4130 automatic movement with a 72-hour power reserve. Scratch resistant sapphire crystal. Screw down crown. Solid case back. Case size: 40 mm. Round case shape. Oysterlock clasp. Water resistant at 100 meters / 330 feet. Functions: chronograph, hour, minute, second. Luxury watch style. Watch label: Swiss Made. 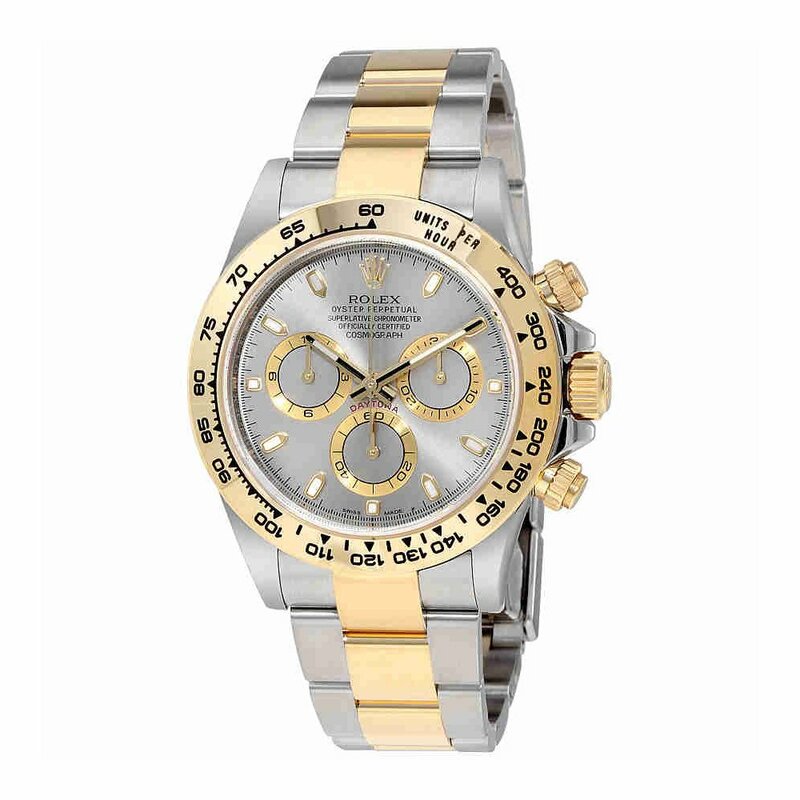 Rolex Cosmograph Daytona Grey Dial Steel and 18K Yellow Gold Automatic Mens Watch 116503GYSO.